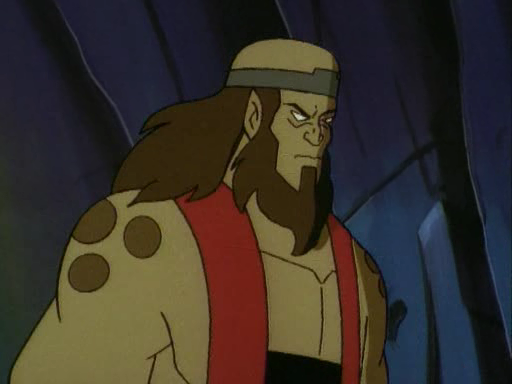 Not sure any of you discussed this, but Goro has a full head of hair now, his dad has a huge beard, and the entire Shokan race looks more human than monster now. 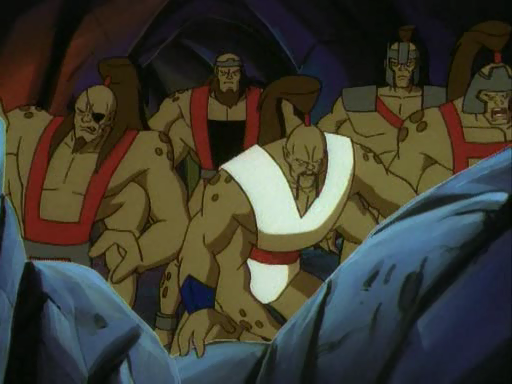 Almost every Shokan warrior has facial hair, and this totally changes their entire appearance for the worse in my opinion. 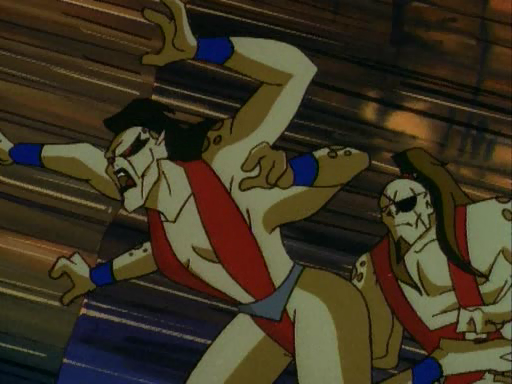 I mean, I know that the Shokan were always half-dragon men to begin with, but this totally destroys their entire identity to me. 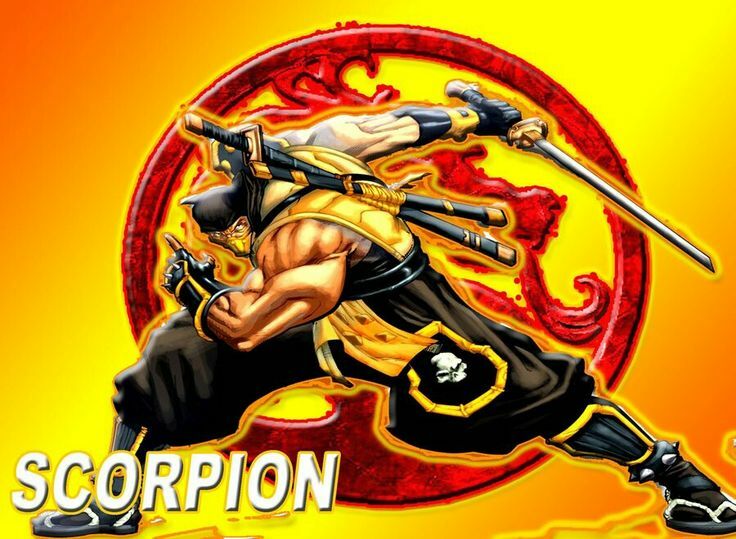 I loved Goro because he was the original monster character in the MK franchise. With his four arms, spotty back, and apish bald head, Goro never really seemed like he was a man. He always appeared to be more alien. I never really thought his ponytail looked like something you would find on an actual human being, and I always assumed that hair only grew on that one part of his scalp. I couldn't have been more wrong. I really hate the new hair. I'm sure many of you disagree, maybe you feel the new appearance is more realistic, which is fine. I guess Goro shaves. I'm just curious if anybody agrees with me? Does anyone else feel that Goro should look less like a man, and more like a monster, the way he used to? It just looks ugly to me, I feel that Goro is no longer a four-armed monster, rather, a man with two extra arms. Reading the comics, they look like the hideous Orcs from LOTR now. The age of Shokan has passed, more terrifying creatures lurk since the altered old timeline. Cough cough D'Vorah. I would say the mantle has well and truly passed on from the Shokan and even the Tarkatan to the horrific nightmarish Kytinn. <br/> <br/>More hair gives them a standard honorable warrior design as opposed to being a feared monster; we can see them as individuals within their structured realm, complete with their own ancient society and rituals. The look maybe debateable but the new Shokan lore is top notch. The age of Shokan has passed, more terrifying creatures lurk since the altered old timeline. Cough cough D'Vorah. I would say the mantle has well and truly passed on from the Shokan and even the Tarkatan to the horrific nightmarish Kytinn. More hair gives them a standard honorable warrior design as opposed to being a feared monster; we can see them as individuals within their structured realm, complete with their own ancient society and rituals. The look maybe debateable but the new Shokan lore is top notch. 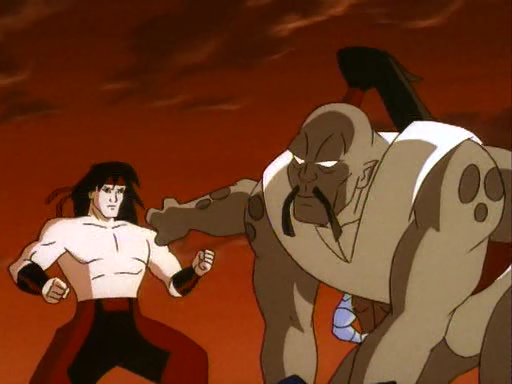 Goro always had a ponytail on his bald head, and in MK X is the same. <br/>Gorbak has had a beard since his appearance in the official MK 2 comic book. <br/> <br/>Nothing new, really. 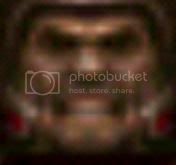 Goro always had a ponytail on his bald head, and in MK X is the same. Gorbak has had a beard since his appearance in the official MK 2 comic book. I recently bought the original Goro statue from MK1. There he looks the best. @Mind agreed my man! <br/>@Jason What?! Shokan and Tarkatan are the best monsters ever created! Their time will never pass! But I agree that the hair is probably more realistic for the Shokan individuals. Still hope Goro gets rid of that new hairy scalp of his, bald is better! @Jason What?! Shokan and Tarkatan are the best monsters ever created! Their time will never pass! But I agree that the hair is probably more realistic for the Shokan individuals. Still hope Goro gets rid of that new hairy scalp of his, bald is better! <div class="forumQuote"><b>Quakeman Wrote:</b><br/>bald is better!</div> <br/> <br/>Bald can be better! Shokan are half-human, half-dragon. Goro has always had a ponytail. 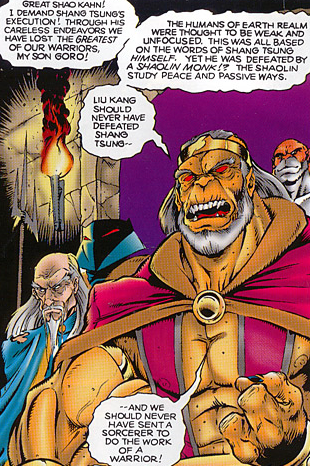 King Gorbak had a beard in the original MK2 comic illustrated by Tobias. Sheeva had typical human mammalian breasts and a full head of hair. Shokan that have been represented to varying degree throughout the series prior to the MK9 reboot also had facial hair and hair on their heads. <br/> <br/>Nothing has changed, the looks have simply been updated. Also, never go by the MKX comic in terms of story. Looks...maybe you can get away with it. Other than that, it has nothing to do with the game. Shokan are half-human, half-dragon. Goro has always had a ponytail. King Gorbak had a beard in the original MK2 comic illustrated by Tobias. Sheeva had typical human mammalian breasts and a full head of hair. Shokan that have been represented to varying degree throughout the series prior to the MK9 reboot also had facial hair and hair on their heads. Nothing has changed, the looks have simply been updated. 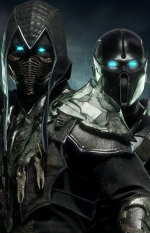 Also, never go by the MKX comic in terms of story. Looks...maybe you can get away with it. Other than that, it has nothing to do with the game. Looks to me like you've never even seen the MK1 or MK2 comic... <br/> <br/>They don't call them HALF HUMAN-DRAGON for nothing. They don't call them HALF HUMAN-DRAGON for nothing.